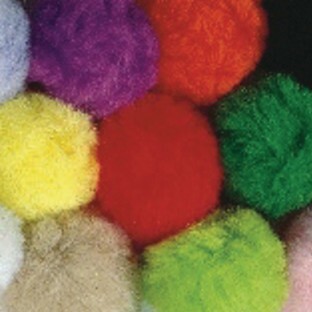 2" Pom Poms in assorted colors. Pack of 50. This product was excellent. I would buy again. This product was used for a fund raiser. Great for children to use for art or for a juggling activity. Our clown day was so much fun to juggle with bright and big pom poms. The children loved them. Then they got to take them home to practice.